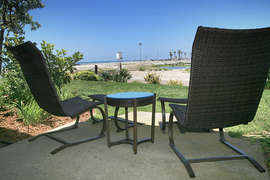 Sit back and relax in G33 - Steps to the Sand. 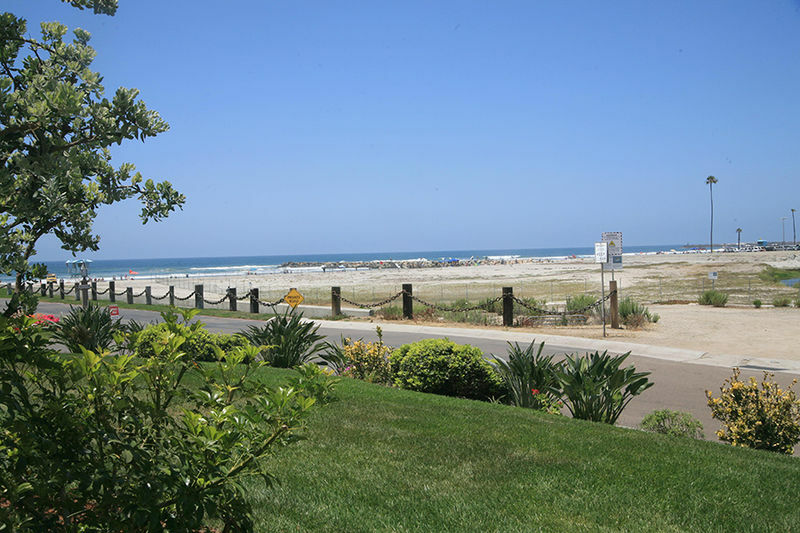 Steps to the Sand is a lower harbor/oceanview cottage located in North Coast Village. G33 is unique in that it is our only 1 bedroom ground floor cottage. 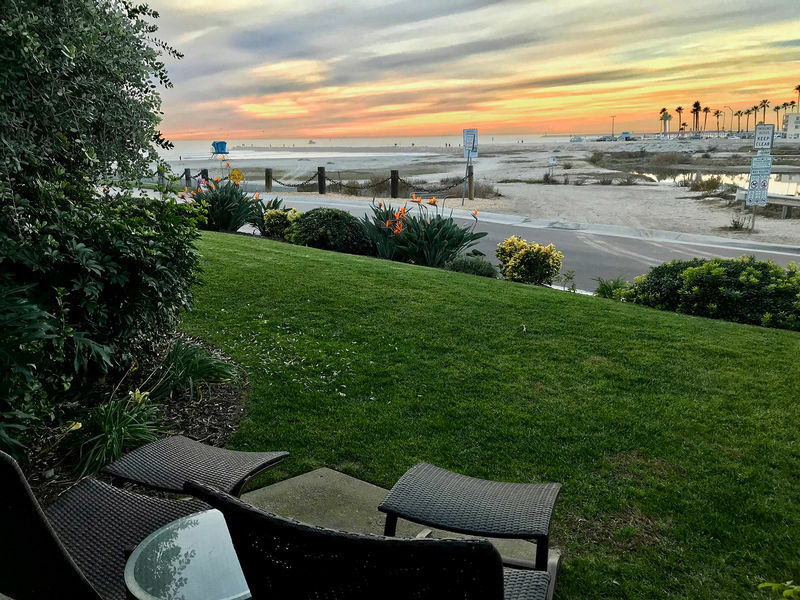 This makes it perfect for families wanting to their kids to play on the grass off the back patio, anyone with physical disabilities who needs easy access to sand and condo, and/or anyone who wants to sit back on the patio loungers and view the sunset every night. G33 is new to On-The-Sand as of July 2015. Since that time it has had new bamboo floors installed (2015), new furniture & bedding (2015), completely repainted, and new electrical & lighting (2016). It is a beautiful condo that all will love. High quality lounge chairs are on the patio which allows you to relax and watch the comings and going of the harbor, the activities on the beach, the surfers riding the waves along the jetty, and the magnificent sunsets. 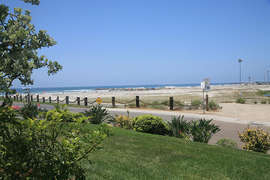 The road seen in pictures from the patio is a frontage road only used by a small portion of the complex to get to one of the parking garages and is very quiet. The road actually makes it very convenient to pull to the side and unload suitcases or groceries right through the patio door into the kitchen. 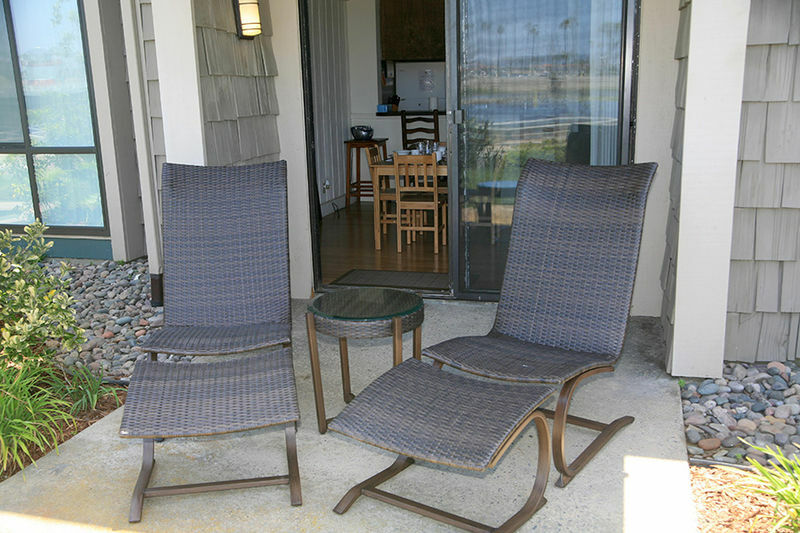 Steps to the Sand is fully furnished with enough sitting and sleeping to comfortably house 4. 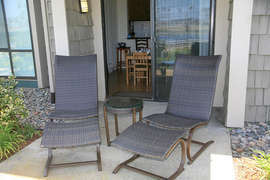 The master bedroom has a Cal-King size bed with a small TV, rocking chair, and bench. It is very open and painted in soft blue tones that soothe and put you in vacation relaxation mode. The living room has 2 swiveling recliner chairs, a fully functioning piano, and a sleeper sofa that's actually pretty comfortable (no weird angles or bars to the back!). The dining area has a small table with seating for 4 as well as 2 additional spots at the bar. There is a flat screen on the wall with cable and a DVD player. 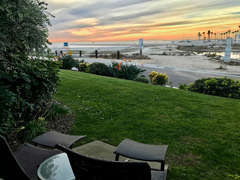 The condo has a functioning fireplace for the winter months and is equipped with all the needed beach equipment - boogie boards, beach towels, sand toys, umbrella, and beach chairs.